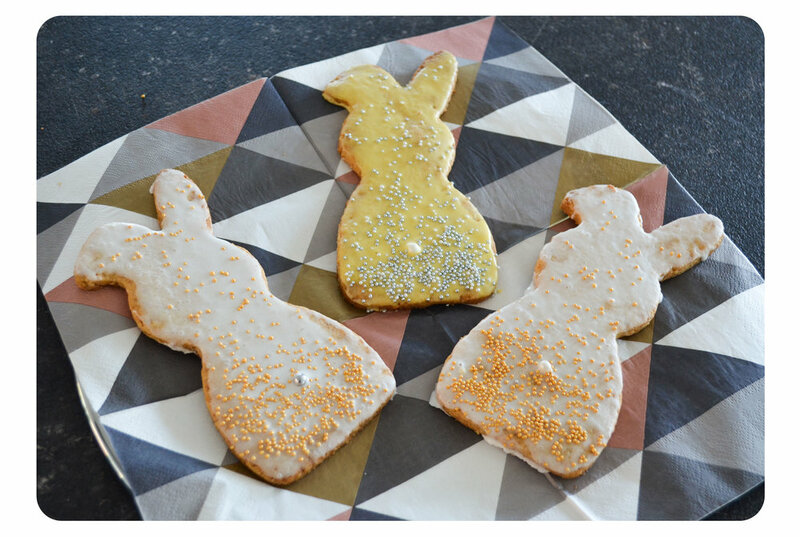 With Easter coming up already next week, I decided to make some bunny cookies and to share the recipe with you. 1. Combine all of the ingredients with hands. 2. Form a ball out of the dough, wrap it in a cling film and put it into the fridge for 1 hour. 3. After the dough is all cooled, roll it into app. 3 mm and cut out the cookies. 4. Heat up the oven to 180°C. 5. Bake the cookies for app. 10 minutes (until the edges get brown) on a baking paper. 6. Beat the egg white with castor sugar using an electric whisk. 7. Let them cool down and add the icing with the decorations.